A concrete garage floor takes a lot of beatings, including spills, environment factors and aging. Not caring for it can create further damage, which may lead to replacement. Homeowners have several garage flooring options to renew and protect their garage floor. Picking the right one often comes down to durability and aesthetics. For people more interested in general protection—especially those who live in colder temperatures—and less concerned with creating a new look, concrete sealers are a cost-effective choice that can help reduce damage from freezing temperatures and road salt. Different technologies are available that can provide a glossy coat or a plain finish that is water repellant. While not a true coating, staining can give garage flooring a boost of color. The concrete absorbs the translucent coloring, which results in a natural marble-like appearance. This option is best for people seeking an aesthetic appeal and have minimal floor traffic. 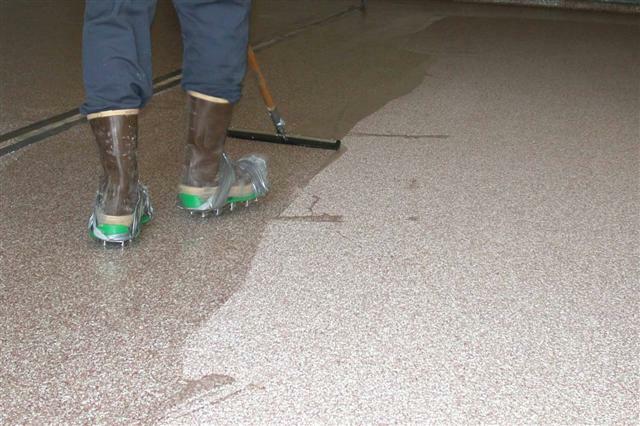 Epoxy not only provides a varying degree of thickness of coating, but it also works as a sealer. 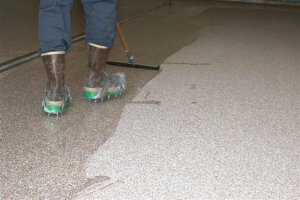 It can be used to resurface aging concrete or repair damaged surfaces. The process to coat with epoxy may take more time, but it results in a hard, thick, smooth surface that covers imperfections. These long-lasting coatings are available in various colors and marbling options. Also a high-performance option, polyurethane is resistant to chemical stains, which makes it ideal for a well-used garage. Considered UV stable, it typically won’t yellow when exposed to the sun’s ray like other coatings. Additionally, it is an ideal option for humid areas and has a higher tolerance for extreme temperature ranges. It is a thinner coating with a glossy finish, but it’s flexible properties make it scratch resistant. Whether you are going for a bold new look or simply want to ensure your garage flooring lasts, count on an expert for assistance. They have the know-how and tools to help you make the right choice for your needs.